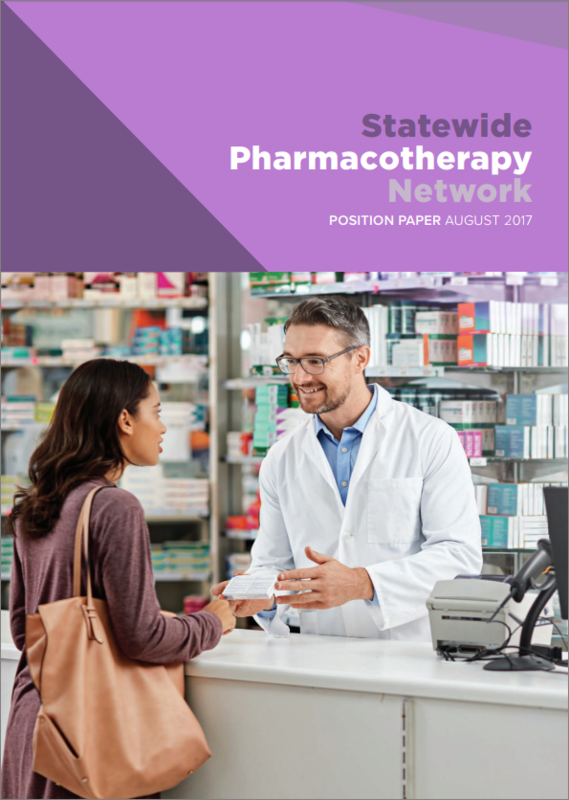 This Position Paper outlines the Statewide Network’s views on and vision for the Victorian pharmacotherapy system. It is informed by liaison and consultation with a range of peak bodies and key stakeholders and includes an overview of the current policy environment, service and system issues, potential solutions; and a framework for further action and engagement. It aims to inform future investment and policy development to plan and target services strategically and effectively. 1. Opioid dependency does not usually occur in isolation. The PABN structure provides a successful, functioning framework that could be leveraged to expand beyond opioid pharmacotherapy into other areas of need, thereby streamlining future effort and investment. The Statewide Network has identified potential options for future scope expansion and is keen to liaise with DHHS about options and opportunities to expand into Anxiolytic Medication, Harm Reduction; or Alcohol and Other Drugs (AOD) in primary care. 2. A pharmacotherapy sector-wide governance structure should be established to provide clinical and strategic oversight, advise on ideal service systems and better connect service structures. A feasibility study should be undertaken to inform the governance structure model. 3. The introduction of Real Time Prescription Monitoring (RTPM) and rescheduling of over the counter (OTC) codeine to Schedule 4 medications are major policy and system changes. Significant advance preparation to fully map and understand the nature of the issues that are likely to arise is required, along with strategic investment in practitioner education, training and support. The Statewide Network is keen to collaborate with DHHS and other peak bodies in the planning and delivery phases. 4. Barriers to increasing pharmacotherapy workforce numbers are complex and require multifaceted responses. Future workforce development efforts must focus on illicit and prescription opioids equally. The Statewide Network is keen to work in partnership with key peak, education and funding bodies to scope and pilot a new tiered primary care workforce development model that considers actions in both training and practicing phases. 5. There is a need for improved data methodology, accuracy and sharing across the sector. In the short term, accurate baseline data creation should be included in the RTPM planning process. In the longer term, a model to capture, maintain and share data from multiple sources should be developed, including protocols that outline how the data should be stored, used and shared; and that address practitioner and patient confidentiality and consent. 6. In the short term, naloxone education material should be incorporated into the Needle and Syringe Program (NSP). In the longer term, naloxone policy, procedures and training requirements should be embedded into permit requirements. A comprehensive GP, pharmacist and community education program that extends beyond the injecting drug use population should also be developed. 7. An essential and important step in improving access to pharmacotherapy services must be to provide adequate, publicly-funded remuneration to pharmacies by modifying the PBS listing of methadone and buprenorphine/naloxone. The listing should account for the chronic nature of opioid dependence as well as the cost and complex nature of providing the service. The Statewide Network is keen to collaborate with other stakeholders to advocate for these changes at state and federal level as opportunities arise.